Vasai, March 22: Holi celebrations on Thursday turned tragic for a family as an incident was uncovered in the city. 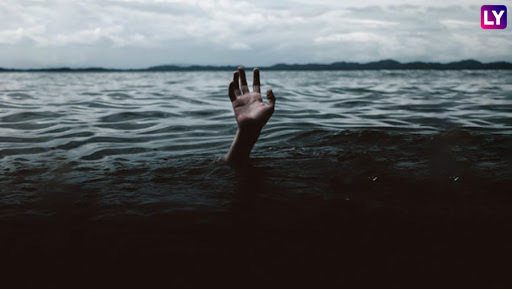 A 17-year-old boy was drowned in a sea off a beach at Vasai, a city near Mumbai. The incident took place at Arnala beach, officials said, adding that four members of the two families were also missing. According to reports, the family was taking a bath after celebrating Holi. Holi 2019: Mumbai Police Urges Mumbaikars To Celebrate The Festival Of Colours Without The Noise. After hearing the scream, fishermen and strollers tried to help but failed. Later, the victim identified as Prashant Mourya's body was pulled out from the sea by rescuers. Coast Guard had joined the search operation to find victim's mother Nisha and sisters Priya, Kanchan Gupta and Shital Gupta, who are still missing. On Holi, Delhi Police Receive over 4,000 Calls of Quarrel-related Cases. Going back to the case, Sheetal Gupta's husband, Dinesh filed a police complaint around 5:00 pm. Dinesh told police that when they were swimming the tide was high, he returned back to the beach and told others to follow the suit. However, the five got washed away. He told police that firstly they celebrated Holi at their residence, later two families Guptas and Mauryas decided to go to the beach. The families enter the sea despite tide being high, resulting in one death and four others missing. In a similar case reported from Mahim, a boy was feared drowned at 7 pm yesterday. The fire brigade personnel are carrying out a search operation, while the city police are trying to collect information about the boy.